Love Interrupted by A.J. Warner – Cover reveal. Logan Brookes loved Andrew Eastin for as long as she could remember, and he had always loved her. After losing her parents, and avoiding obstacles, there was no way she could face losing him too. She loved him enough to walk away for both of their sakes. She left him before he could leave her. When tragedy strikes again, Logan is on a downward spiral. Andrew knows she needs protection from herself, and he needs to love her through it, even if only from a distance. Life has different plans, and brings more emotions and feelings than imaginable. You can’t have a love like theirs and love from a distance. 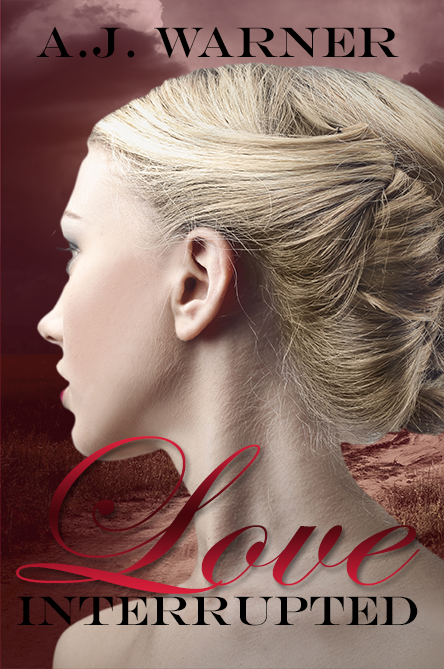 When you find love and seem to have it all, what happens when once again it’s all interrupted? When all is lost, and nothing seems to go according to plan, all you can do is move forward…without a plan. A book of tragedy,loss,self denial. A book of redemption,self preservation and love. ← Guest Post by Christine James.